The rise of robo-advisory firms has been hotly debated by many in the advisor industry recently. Firms that use computers to sort out investor risk profiles and slot clients into portfolios have blossomed over the last several months. Some worry the future of human services in the financial industry is doomed. But the founder of this country’s newest computer-assisted financial advice firm, WealthBar, suggests the reality is a little more subtle—yes, tech-enabled advisory firms are the future, but the humans will not be cut out of the revenue loop. Commenting on a story on WP, Chris Nicola, suggests the “modernization of wealth management into online services is pretty much an inevitability at this point.” That is, tech-enabled advice is a trend that is here to say. But the humans still have a role to play. Similar to companies like Wealthfront and Betterment, WealthBar uses technology and computer algorithms to do some of the work of the advisor. But unlike these other firms, which don’t use any human advisor, WealthBar provides online access to a real financial advisor who can advise the client on more complex areas of a complete financial plan, such as best use of tax exempt accounts like RRSPs, TFSAs and RESPs. The real advisors can also offer tax and insurance advice to clients. That is, WealthBar merges computer services with real human services, thereby offering lower fees but adequate levels of attention. 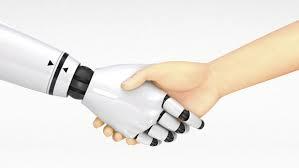 According to Nicola, the firm is “essentially moving the more traditional advisory experience online using online communication and sophisticated online financial planning tools that the advisor and client can work with together.” He goes on to suggest that the “first batch of ‘robo-advisors’ (those that disintermediated entirely the human component in lieu of computers) missed out on the opportunity to provide comprehensive financial advice as well as convenient investment management online.” Or, to put it another way, by relying only on computers the initial tech-based firms have missed out on a model that is going to work—the emerging model includes an advisor, albeit one enhanced by a real advisor. Real advisors will be part of the equation. But delivery of financial services will no longer be simply a case of sitting in an office waiting for the client to drive over for a forty-five minute chat. The lower fees that online service delivery can offer will drive shifts in the way the industry works. The real evolution of the industry, as these things so often are, will be a case of achieving a sort-of middle ground between the new and the old. “Traditional advisors are correct that the current crop of robo-advisors do nothing to address the client's need for personalized financial advice. But they are being a bit naive to think that an in-person, face-to-face relationship is a requirement to deliver that experience. The convenience of being able to get advice online combined with much lower fees is going to win Canadians over,” says Nicola.